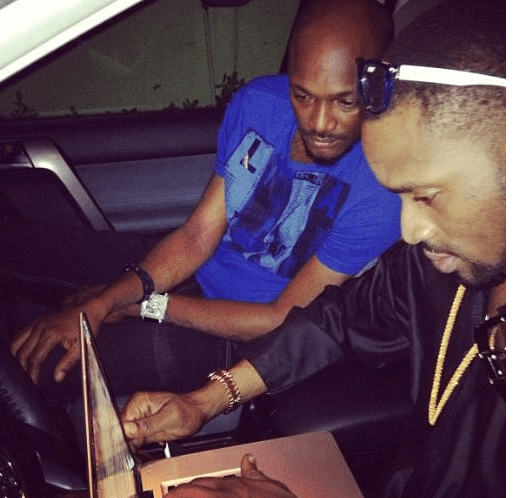 D’banj And 2Face Pictured together – New collabo?!? 2face and D’banj have always been close. A couple of months ago, D’banj visited 2Face and 2Face’s daughter even got a chance to take a photo with the Kokomaster. These two stars are undoubtedly two of the biggest names in the Nigerian music industry today. Kayswitch shared this photo of both stars as they seemed busy checking some things on a laptop. Before you compare Adekunle Gold to another artiste, read this!